For some, traveling for work is the ultimate dream. For others, all those hours spent on the road or up in the air equate to wasted productivity time. Even the daily commute to and from the office can be a problem! Many successful entrepreneurs dedicate an hour a day to reading up on a particular topic or on industry news. Others read fiction for leisure instead since it refreshes their minds. Either way, reading up will just help you in the long run—you never know when something you've read will come in handy at an important meeting! Traveling can get exhausting, but it can also be an opportunity to recharge. Or, if you’re heading home at the end of the day, it can be when you wind down and relax—maybe by watching a movie you weren’t able to catch, or by binge-watching your favorite series. Just remember to wear earphones for a clear and transparent audio; you wouldn’t want to disturb the other passengers around you, either. Instead of wasting your energy getting worked up over being delayed, keep your motor skills, memory, and critical thinking sharp with a challenging quiz or puzzle. The mental exercises will help you stay at the top of your game. The time will pass anyway, but that doesn’t mean it has to be time squandered. Preparing for a big client meeting upon touchdown? Since you’ll be free from distractions while in transit, use this time to review your presentation. Practice makes perfect, and one more run through will just make you more confident of your performance later on. There are loads of tedious tasks that come with traveling: confirming bookings, keeping track of your hectic schedule, finding ways to maximize your leisure time, and countless other matters. You may not have the time to do them before the trip, so get organized on the way there! Likewise, if you’re just heading to the office, try ticking away the things on your to-do list that you can easily accomplish while commuting. Your time in transit shouldn’t go to waste, so take stock of the resources you have with you and make do. Your mind will always be your greatest tool and you’ll be amazed by how much you can do by yourself. On top of that, you'll be hard-pressed to find anyone without a computer inside their pockets or luggage nowadays. Granted, sometimes your mobile won’t cut it for certain things, and a bulky laptop is too inconvenient to lug around. So you have to be smart about the tools you bring with you if you’re planning to work while traveling. Something like the ASUSPRO B9440, an ultra-light business laptop, is perfect for the entrepreneur on the go. It runs smoothly on Windows 10 Pro, letting you stay on top of your work; it's also one of the sleekest and most mobile laptops at only 2.31 pounds, with its 14” full HD display fitted on a smaller 13” tough all-metal chassis crafted from Magnesium alloy. It's impressive battery life of 10 hours, on the other hand, assures you that it will stay strong from the boarding gates to the touchdown zone. On top of that, the B9440UA is MIL-STD-810G graded, which means it has been built with military-grade reliability and durability, ensuring dependable operation no matter what environment, in or out of the office. With a laptop like this in hand, and the right mindset in place, you can stay productive no matter how long you’re stuck in transit. ASUSPRO B9440 units are sold in all ASUS authorized stores nationwide and comes with a 3 years on-site service warranty. Click here to find out more about the ASUSPRO B9440. 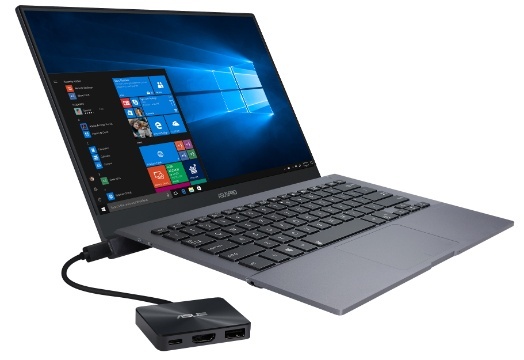 ASUS recommends Windows 10 Pro for best performance. This article was created by Summit StoryLabs in partnership with ASUSPRO.